The HigherDOSE vision was founded by Lauren Berlingeri and Katie Kaps. 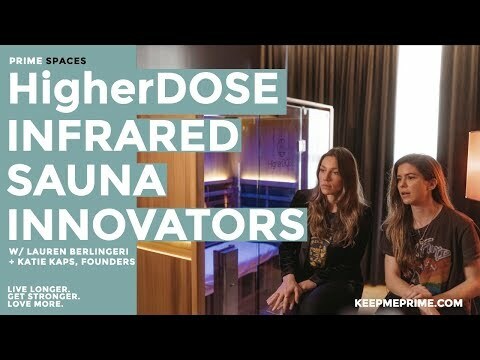 They are two seekers of natural highs who believe the key to the “high life” is found through future-focused health therapies (like infrared) that up your natural DOSE. Lay down and chill for 10 minutes while cryogenically cooled air is blown onto your face. This relaxing process stimulates skin cell grow, reduces inflammation/wrinkles/pore size, and gives your face an instant glow. It’s one of our favorite beauty biohacks (and it’s quick too)!